Submitted by lynn on Monday, November 12, 2018 - 6:53pm. 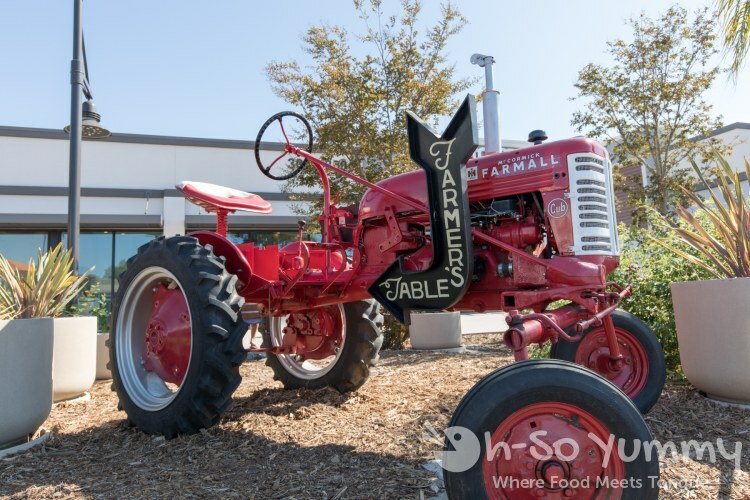 Farmer's Table focuses on providing a friendly farm-to-fork dining experience and recently expanded into the Bay Park area. 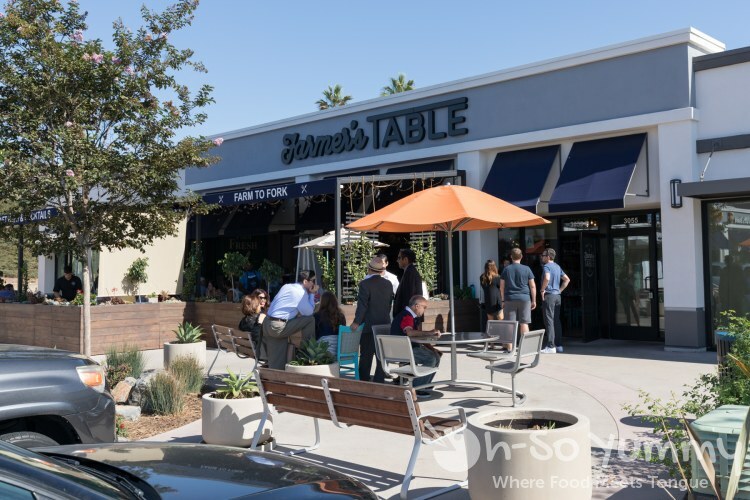 I've always been curious about this restaurant but never made it to their original La Mesa location (long drive). 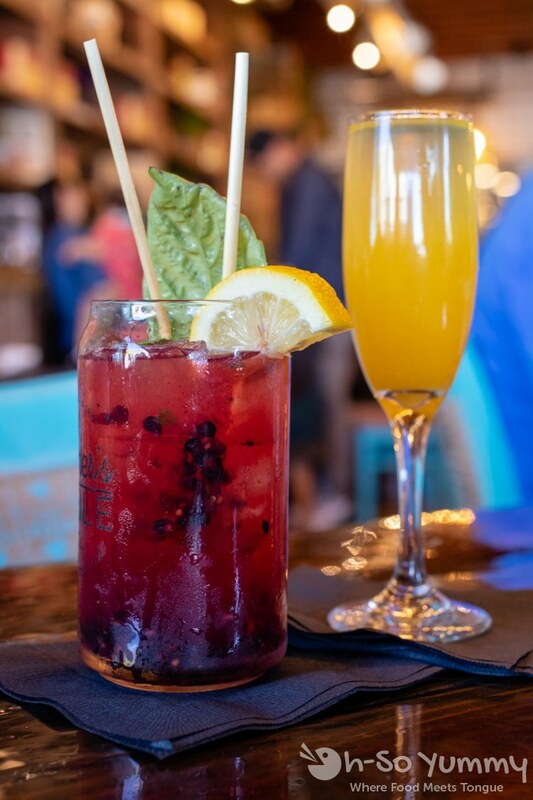 This newest location was within easy reach for us so we were delighted to accept a media invitation to get our brunch on! It's in a large shopping plaza so the parking is plentiful. I like how there's a bright red tractor with a Farmer's Table sign outside of the building. Inside there's more farm-inspired decor such as the large wagon wheels in the ceiling, wood accents, and the pastel blues of the chairs. 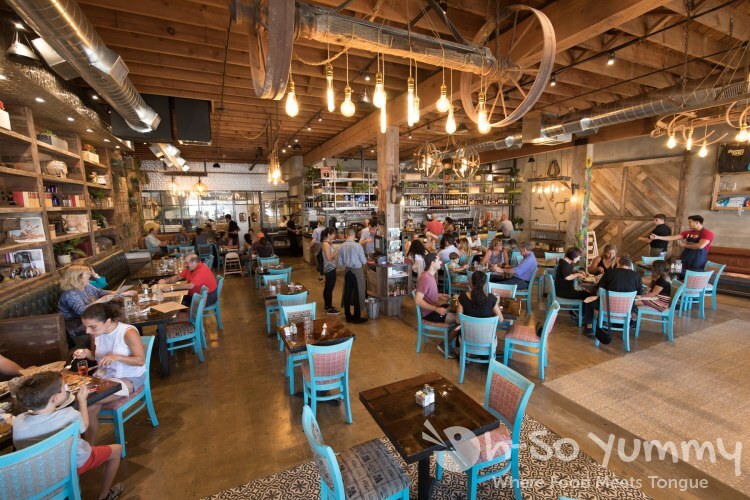 The inside of the restaurant is spacious and gives diners plenty of breathing room. There's also a shaded patio area for those who want a little outdoorsy feel. We came during prime brunching time and the restaurant was already packed with a small wait. They have a hefty midday menu as well as a separate dinner menu. Our lunch options included sandwiches, flatbreads, salads, egg dishes, benedicts, etc., but we had to limit ourselves to what our stomachs could hold. Seriously, so many options that we had troubled choosing! Our waitress recommeneded this stuffed french toast and it was a delicous start to our day! The mascarpone binded berries and fluffed bread together in a mildly sweet way. The powder dusting was light and we didn't need much syrup for this dish. 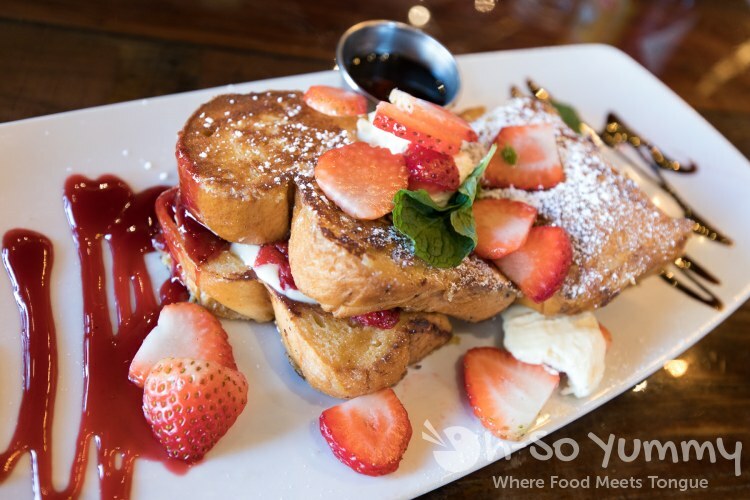 We'd love to try other french toasts here such as the Tiramisu on our next visit! It's not a fancy looking frittata but OMG I couldn't stop shoving it into my mouth! This fennel sausage was so yummy and there was plenty of asiago cheese to pull it together with the eggs. In general it wasn't spicy unless you hit one of the embedded jalapenos. The accompanying focaccia bread was a bit drier than we'd prefer. For the side, the waitress asked if we wanted the truffle version of potatoes for $2 more... how could we say no? Little did we know that this would be some of the BEST potatoes we've had, just the right amount of oil and seasoning! Truffle will double your pleasure! 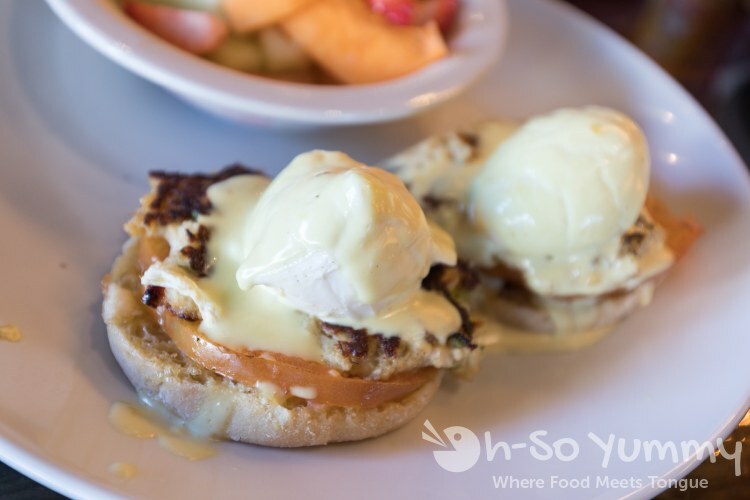 Dennis decided to try another iteration of crab cake benedict here. He felt there wasn't enough crab cake in the dish so it felt like a very standard eggs benedict. The hollandaise had the right creamy feel but the cilantro lime accent was very subtle. For the side, I asked for fruit to lighten up our whole meal. We ended up too full to eat these so took them to go. We've been a little wary of man candy ever since a very blah version at Fig Tree Cafe years ago but thought we'd give it a chance here. Turns out this version was superior though it was heavier on the brown sugar taste. The paprika helped tone it down. 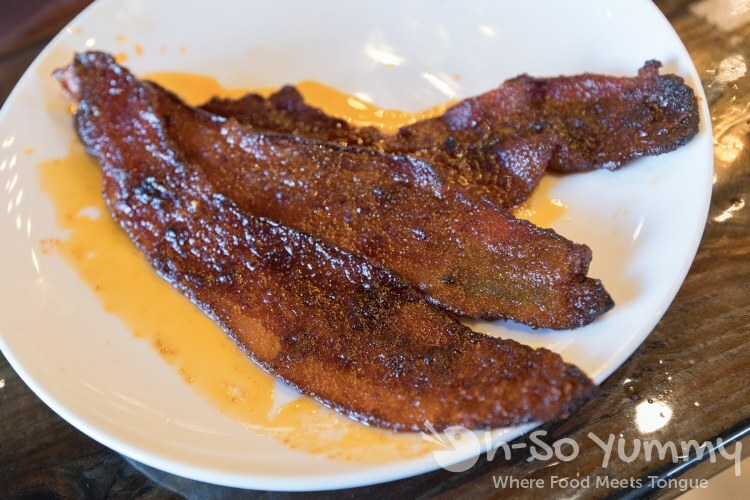 Farm to table isn't just a "buzz word" here - they list their local suppliers in the menu. 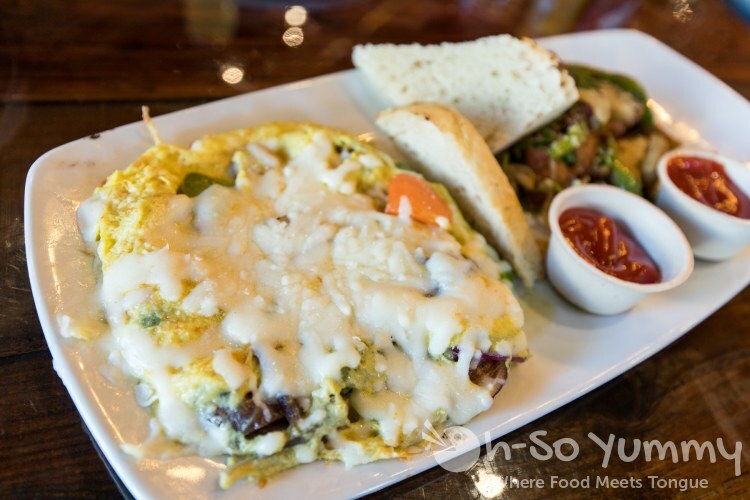 The options are fresh and locally sourced and we honestly can't wait to go back! 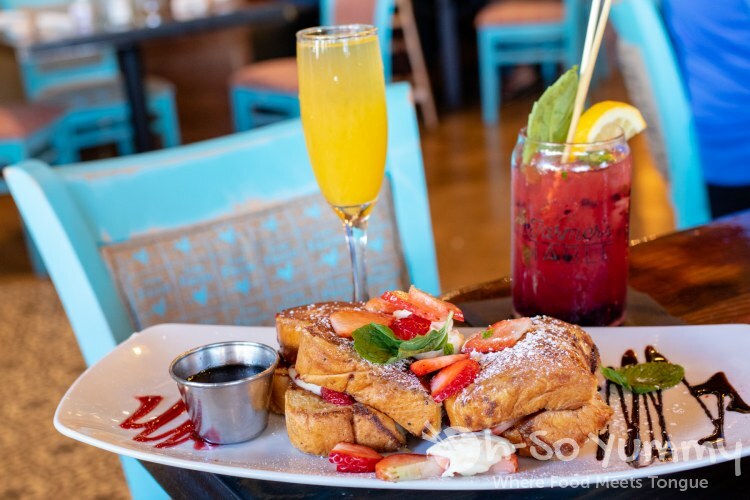 Due to the ever-growing popularity, reservations are highly recommended, especially for the popular brunch weekends! Cool tractor! Man candy sounds good. I love bacon.